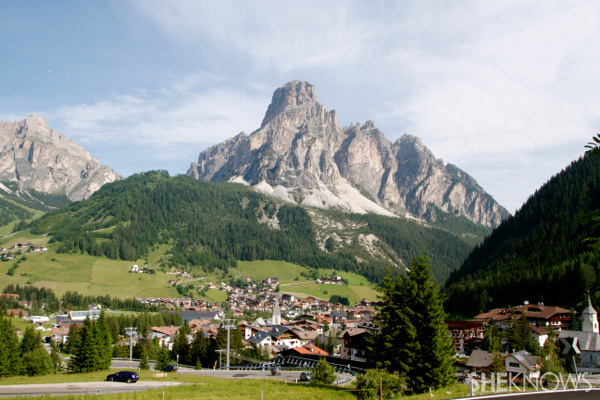 When we think of Italian vacations, our minds usually wander to Venice, Mediterranean views and pasta for days — but the Dolomite Mountains are one of Italy’s most overlooked treasure troves of beauty. It sounds a little cheesy, but it’s true. The Dolomites (located in the Italian alps) are enchantingly gorgeous and really shouldn’t be missed. After all, UNESCO (United Nations Educational, Scientific and Cultural Organization) lists the Dolomites as one of 49 World Heritage Sites in Italy. The whole area is begging to be seen, but as time is usually a constraining factor when on vacay, we put together 12 towns that are must-sees. Note: South Tyrol (where most of the Dolomites are located) was formerly a part of the Austro-Hungarian Empire and was officially annexed by Italy after World War I. For this reason, the bilingual region uses German and Italian town names and we’ve included both where applicable. Fifty-four Italian municipalities of South Tyrol also use a recognized third and minority language called Ladin. In these cases (none of which are included here), the towns’ names are displayed in three recognized languages. 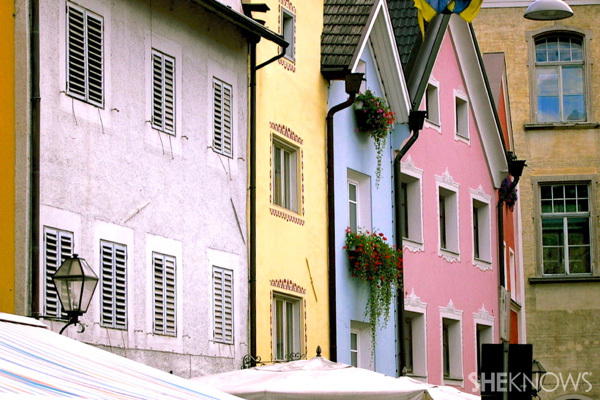 Vipiteno is a beautiful town with a long main road lined with pastel-colored buildings from different eras. They are now converted into shops, hotels and restaurants. The road is divided into two parts, the Old Town and the New Town, by a tall clocktower called Zwolferturm. Bressanone is the third-largest city and the oldest town in the region, having been first legally mentioned in documents in the year 901. The area also had its first human settlement in 8,000 B.C. In modern days, it is considered the cultural and artistic capital of the valley, where you can find excellent shopping, dining and entertainment. The 10th-century cathedral is one of the most important monuments to visit in the city as you can still view the cloister frescoes from the 10th to the 15th century. 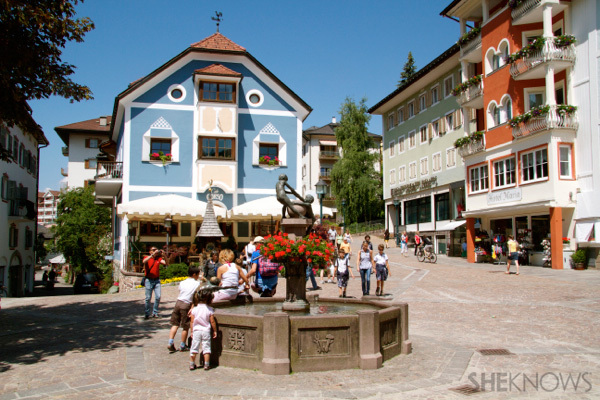 Ortisei is a very popular holiday town, both in winter and in summer. Being located in Val Gardena, one of the top ski resorts in the world, it is the perfect village in which to settle down on your vacation. There is skiing in winter and walking or mountain climbing in summer. Shopping and dining are also of excellent quality. Enter one of Chiusa’s main ancient doors and you will be transported back to the ancient times by simply walking on the cobblestoned alleys lined with the typical pastel-colored buildings that house different kinds of shops, restaurants and hotels. Sitting on top of the locally-known “Holy Mountain” that overlooks Chiusa is the Säben Abbey/Monastero di Sabiona, where Benedictine nuns have been living since the 16th century. 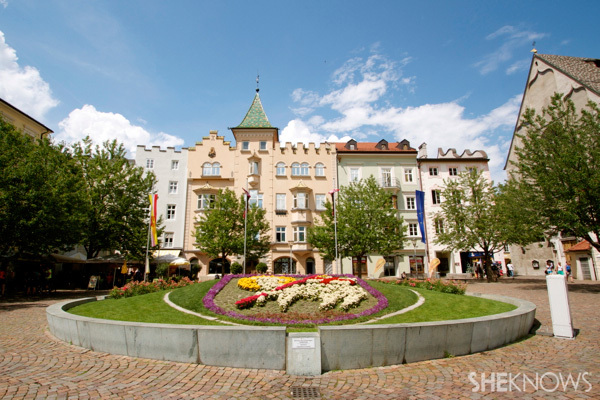 Merano is a large town surrounded by mountains and it is located at the entrance of the Passeier Valley where the Passer River flows through. 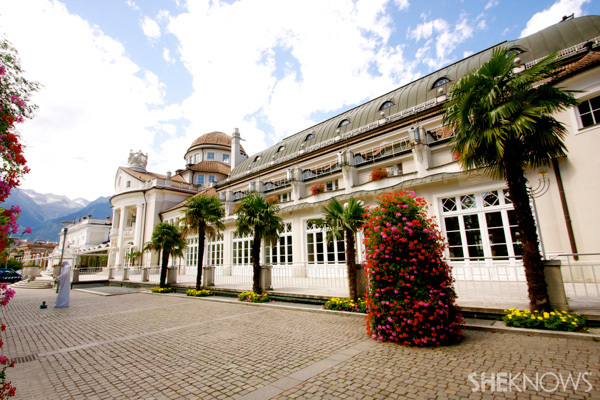 This perfect location is also known for its spa resorts, production of Forst beer and frequent summer concerts. Brunico, a pleasant medium-sized town in the heart of Pustertal Valley, was recently elected Italy’s most pleasant and citizen-friendly small city. 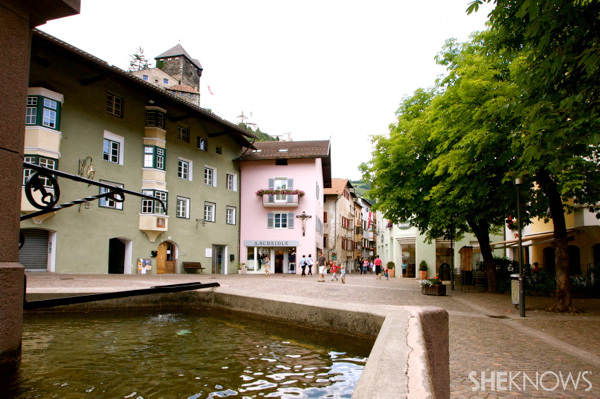 The town’s vibrance attracts visitors who like to be centrally located in the Alps. Shopping, dining, trekking and skiing are on offer in the nearby Mount Kronplatz ski resort, which is considered the number one ski resort in South Tyrol. 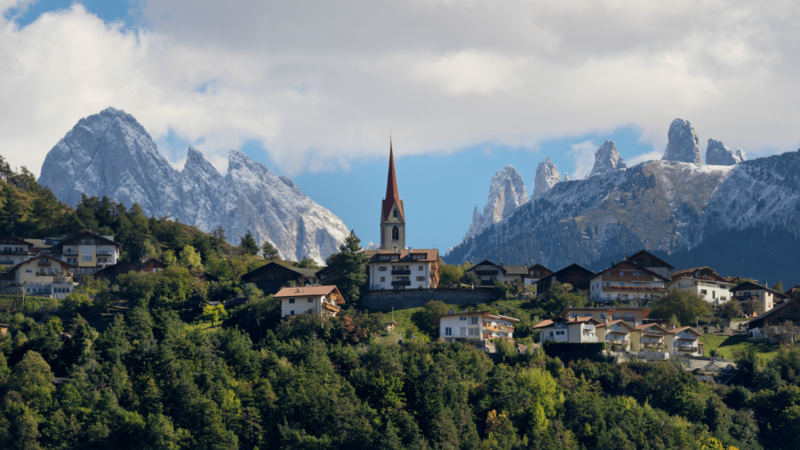 At at high plateau between 3,608-4,593 feet high and a cooler climate, Renon is a popular summer holiday place for the people who live in Bolzano, the city underneath it. 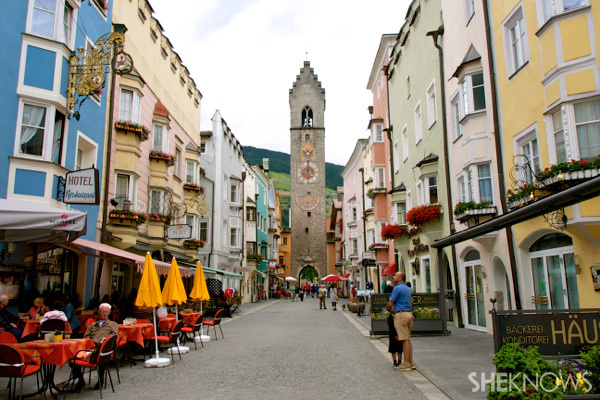 This picturesque small town can be accessed by car or a cable car that departs from Bolzano. It is known for its fairy chimneys or earth pyramids. Set at the foot of the Sassongher Mountain and in Val Badia, a valley of 3,281 feet high, Corvara is a splendid town to explore. A stream snakes its way through the typical alpine town dotted with wooden houses and structures, mountains and just enough tourism to enjoy the whole place. It’s also a departure point for chair lifts that can take you to the higher points of the surrounding mountains for skiing in winter or walking in summer. The soft slopes and wide plateaus are perfect for families with children. 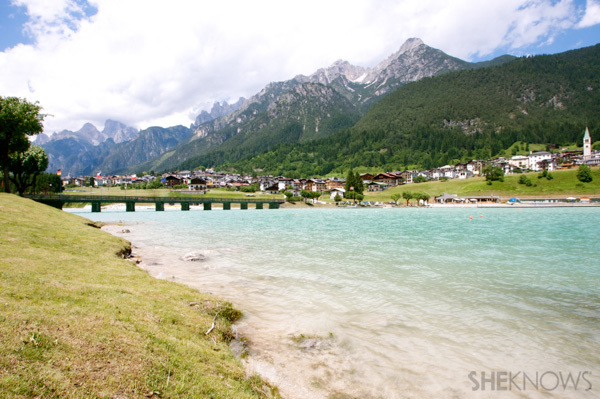 Auronzo di Cadore gained its added beauty after the artificial lake bordering the town took shape in the 1930s when the Santa Caterina dam was finished. 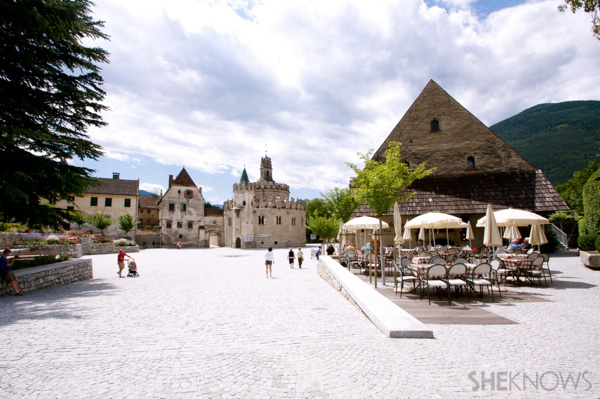 It changed the landscape of Auronzo dramatically and it attracted more tourists, especially in summer. 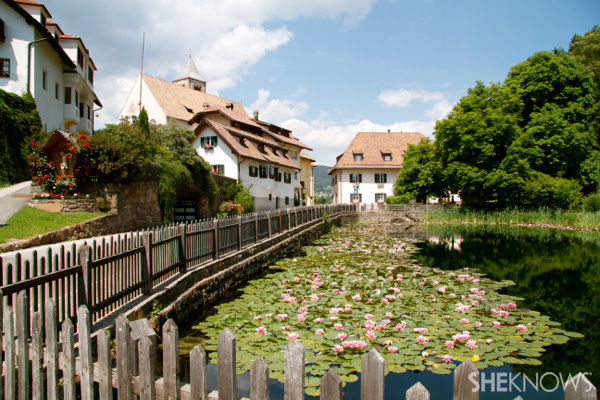 It’s a picturesque panorama of an alpine town, with wooden structures, a clear lake and the surrounding Dolomite Mountains. What is strikingly beautiful in Varna is the Monastery of Neustift (Abbazia di Novacella). Founded in 1142, it has been owned and run by the Augustinian Orders Regular. 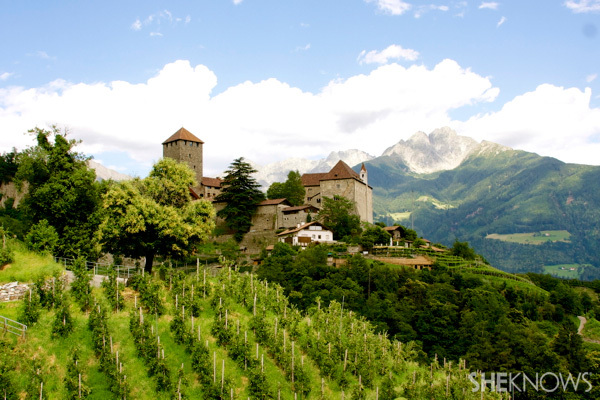 The monks maintain the upkeep of the whole monastery itself where they have a boarding school for middle school boys, a shop that sells the monastery’s various products, a tavern to eat South Tyrolean food and sample their wines and the winery where they produce wines of excellent quality. The monastery is the largest in Tyrol and is extremely well preserved. Gothic, Baroque and Rococo architectures have left their marks over the monastery’s long history. Originally published October 2013. Updated October 2017.